Students will copy the Picasso drawing upside down in RIGHT BRAIN MODE. STEP #1 You will copy the Picasso drawing updside down in RIGHT BRAIN MODE. By copying it upside down you are forced to focus on just the lines and shapes. You wont make any assumptions or use your left brain. 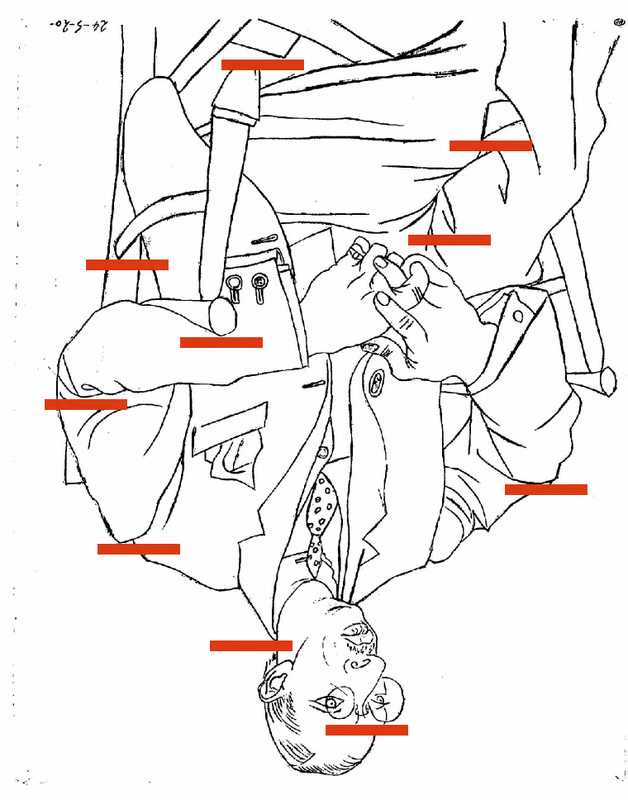 It is not a man sitting in a chair. JUST LINES AND SHAPES! Draw exactly what you see. No tracing. Listening to classical music helps tap into the right brain, or instrumental music which is music without lyrics. Remember 1 ear bud only. Watch the video below for the steps.